Discussion in 'Ad Campaigns' started by bluebanter, Oct 10, 2018. 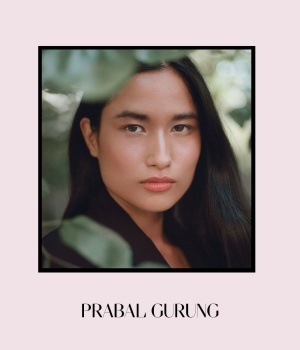 Back in July, ahead of the release of "Crazy Rich Asians," Prabal Gurung talked about how important Asian representation is in the media — especially in fashion. "I would like fashion to also be conscious about the power that we have, the visual power of changing the world," he told Fashionista. "For centuries, we've made women feel bad by telling them if you don't buy this product, you're not worthy. I'm a firm believer that we have the power to make them feel better. Every group, every minority — women, transgender [people], Asian, Black, Latino — everyone by saying, 'You're part of our conversation.'" Now Gurung is putting his money where his mouth is. 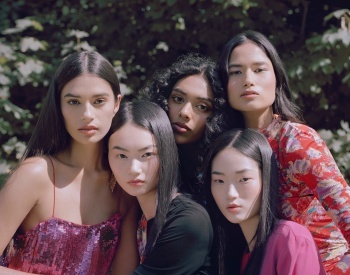 For his Fall 2018 digital campaign, the Nepalese designer tapped an all-Asian cast and majority Asian crew to further his messaging of the world being "Stronger in Color." "Given our current political and social climate, I believe that strong visual representation for minority groups is more important than ever," says Gurung in a statement. "For as long as I can remember, I've believed minorities need a seat at the table to be seen, heard and counted. While our industry is making some progress with the way we cast our campaigns and shows, it is equally important that our behind the scenes teams be represented as well, an idea that is often forgotten." 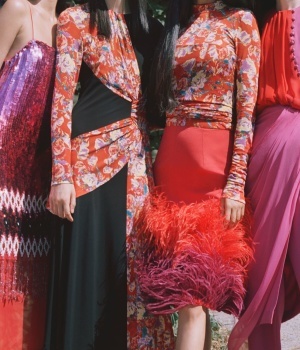 "Our Fall collection was inspired by the strong, vigilant and graceful women I was raised by back home in Nepal, and was an ode to the women of the Eastern world," he continues. "Therefore, we wanted to dedicate our Fall campaign to casting talent that represents this part of the world." 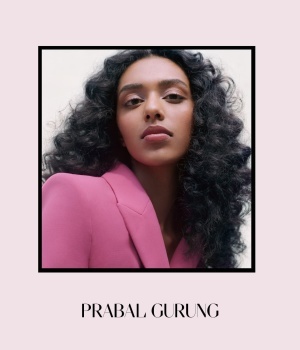 With that in mind, Gurung worked with art director David Moran — who, the designer notes, has been a huge ally for his messaging — on the shoot, which stars models Varsha Thapa (Nepal), He Cong (China), Diya Prabhakar (India and Singapore), Hyun Ji Shin (South Korea) and Kanta (Thailand). 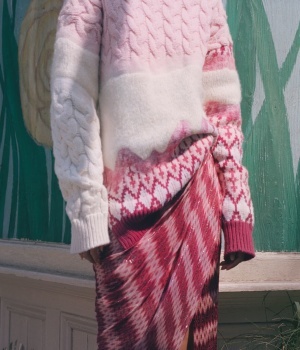 South Korean and American photographer duo Jin and Dana shot the campaign; Gurung also brought on stylist Aeri Yun (South Korea), hair stylist Deepti Sadhwani (India) and makeup artist Sandy Nicha (Thailand) to round out the team. guimon and Morgane07 like this. Being an Asian designer he shouldn’t have waited this long to cast Asian models for his campaigns. He’s had so many campaigns in the past, not just 1 or 2. Prior to this there was only Issa Lish. Such hypocrisy. It’s a politically correct decision to support his business. I hear that tho he’s always featured Asian models in his shows, hasn’t he? And has featured women of color in his campaigns (Issa but IIRC, also Joan smalls and I wanna say Liya?) idk, doesn’t seem to be financially motivated, I think I read that his last show had a very diverse cast. At any rate, I’m loving these. Nomar and Morgane07 like this. Absolutely stunning. Love the cast. I love the makeup. My dream makeup. I hate contouring, overlining lips, sharp brows, etc. 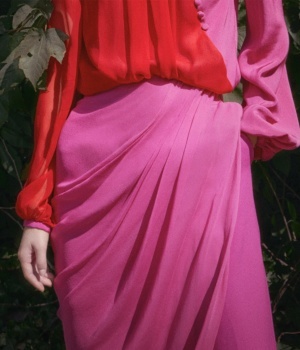 Love the slight seventies vibe, well done. Amazing cast and I love the dreamy vibes. This is absolutely stunning. Somehow his clothes make more sense here not just because of the cast but the direction of the campaign. The colors make the clothes much softer. And these models are really good, better than many so-called working models right now. I wish the campaign appears in print, on billboard. We need better representation not only just in front of the camera but behind it too. I hope bigger brands will follow the suit. At some point, it will not feel like a genuine change but progress has to be made. The shots and cast look lovely, but the full-length images more like an editorial to me. It's only the profiles and the ones focusing on the detail which would work for a campaign. 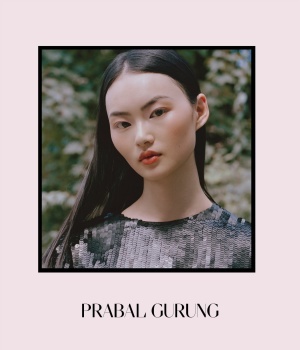 I've actually liked Prabal's past campaigns as they did a stellar job of selling his aesthetic. Go Varsha! She is such a sweet girl, this is a good look for her.